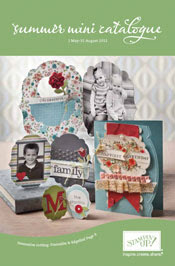 Stampin Up Demonstrator - Lynne Fahey (Spiralz and Curlz): The new SUMMER Mini Catalogue is here!!!! The new SUMMER Mini Catalogue is here!!!! Wow, what a day! Stampin' Up! has launched it's first ever Summer mini catalogue in the UK and it's jam packed with wonderful new ideas, stamps, papers and much much more... there are just too many wonderful items to choose a favourite from all the gorgeousness inside it covers!! Next up is the simply scored scoring tool. We finally have our own scoring tool that fits 12x12" paper comfortably and it's marked up with Imperial measurements (inches) but you can purchase a metric plate that nests on top of the scoring board so you can use centimeters. This is great news, you can now use both inches and centimeter measurements, depending on your project! If that wasn't enough good news.... we can also announce that today the UK market can order the new diagonal scoring plate. This can help you with making your own custom boxes, envelopes and so much more! It also nests on top of the scoring board and has a full 12x12" sized plate to create your own diagonal score lines which are perfect for making your own envelopes. It costs £10.95 and is available to order now even though you may not see it in the new summer mini catalogue. Please get in touch for more details. And definitely a offer not the be missed, in fact I can't believe we have been so lucky to have this offer, you are going to love it!! And more great news!!! 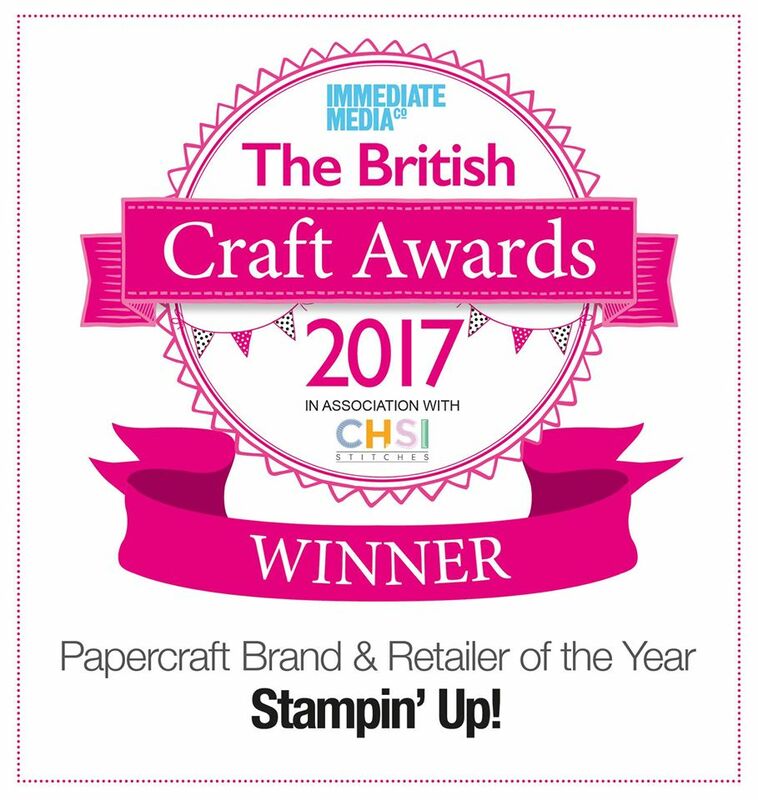 yes, it's all happening today with Stampin' Up!!! Stampin' Up! are launching a new lower priced starter kit from today. The new kit costs £99 and is fully customisable with any items from current catalogues of your own choice included!! You can choose £130 of any products to make up the products in your kit and you will also receive a business kit which cost £45. It gets better!! 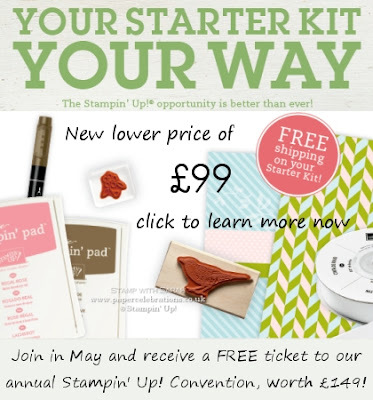 If you join as a demonstrator during May you will receive a FREE convention place which normally costs £149 absolutely FREE. That's right if you become a demo in May you will be able to attend the annual Stampin' Up convention in Mainz, Germany from 2-3rd November. You will need to pay your own hotel and travel costs but the entry to the convention will be waived. If you have questions about what is involved in being a demo or would like some more information or a no pressure chat, I would be delighted to hear from you. 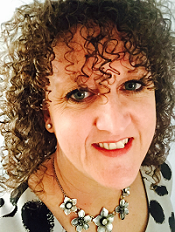 Why not join me and join in the fun?? So, what do you think to all that great news?? amazing isn't it... we are very lucky crafters! I'd be more than happy to place your order, just email me at lynne.fahey@gmail.com and it can even be delivered straight to your door for an additional £4.95 as it comes from our warehouse in Germany. Hi Lynne . . . great to meet you on Saturday . . . I've just come for a nose at your blog. All the May news is so exciting isn't it?